The Sandiganbayan is in hot waters on Friday, November 16, after it allowed Ilocos Norte Representative Imelda Marcos to post bail for her temporary liberty. 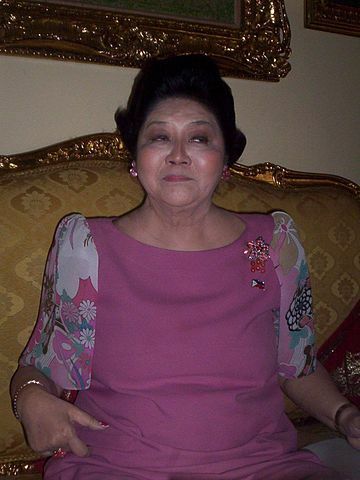 The anti-graft court earlier this day ordered the widow of former President Ferdinand Marcos to post a P150,000 bail bond, while it has yet to decide on whether or not she will be granted a post-conviction bail. Mrs. Marcos is facing arrest after the Sandiganbayan Fifth Division found her guilty of seven counts of graft last November 9 for her “financial interest” as well as “participation” in the management of Swiss-based foundations when she was serving as a government official during the late dictator’s administration. Upon hearing the news, Anakpawis Representative Ariel Casilao described such decision as a “very double standard” move. “Very shameful of the high magistrates of the Sandiganbayan bowing down to the high and mighty Marcoses for the whole world to see,” Casilao said. “Very disappointing! As if the delay of more than two decades in deciding the case was not enough injustice,” he added. Kabataan Representative Sarah Elago lamented the amount that the Sandiganbayan had set for Mrs. Marcos for her provisional liberty, saying that it was only a “piso sale” compared to the billions of pesos her family stole from the country. “Ang tagal ng hustisya sa ordinaryong mamamayan, pero pag bailout sa mga Marcos may pa-11.11 sale pa (The justice for ordinary people is taking so long, but they even offered 11.11 sale when they bailed out Marcoses),”Elago stressed, referring to the sale offered by some online shop giants to shoppers last November 11. Akbayan Representative Tom Villarin, for his part, said Mrs. Marcos’ case is not an ordinary case that the country will just “let pass without a whimper,” and that the history is the one “judging” her. “So why allow her to bail and engage in such a strenuous work in politics?” he asked. Along with her pleading is a medical certificate from St. Luke’s Medical Center neurologist Dr. Joven Cuanang, where the seven conditions affecting the lawmaker were indicated. “No conscience is so callous as not to be afflicted by guilt and remorse,” Lagman noted. Mrs. Marcos is a free woman, at least for now, after she posted bail at the Sandiganbayan. She was accompanied by her children, former Senator Ferdinand “Bongbong” Marcos, Jr., Ilocos Norte Governor Imee Marcos, Irene Marcos, along with her grandsons Borgy and Mike Manotoc.